I’ve been off food all week in a I-can’t-really-be-bothered sort of way. The only thing I’ve felt like having has been orange juice and bircher muesli. Hardly culinary heights. I blame the illness. When I’m sick all I want to do is crawl into bed and speak to no one, unless they’re bringing me dvds and more orange juice. However, today, finally, I started to feel better. Not quite normal but better. And I knew there was this farmer’s market happening so I decided a little trip in the fresh air would probably do me good. 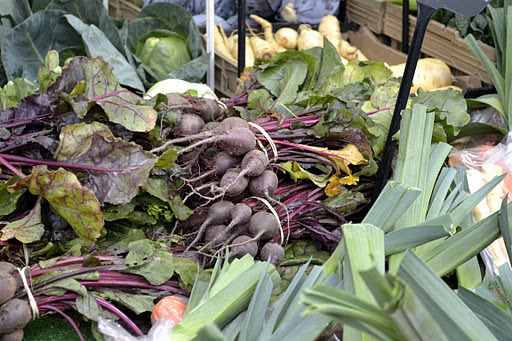 The farmer’s market is located at Sutton Bonnington, the agricultural campus of the University of Nottingham (where I am slaving away reading about food…) I love a rural scene and the drive to Sutton doesn’t disappoint. 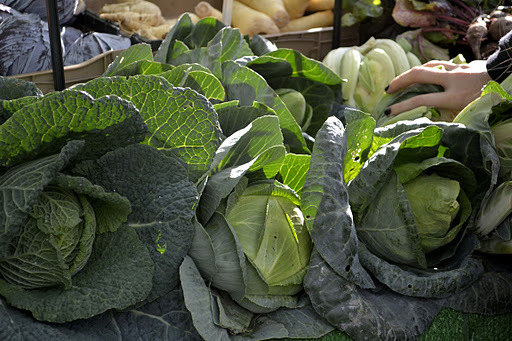 The farmer’s market takes place the first Wednesday of every month and is actually quite good. I’m always worried that I’m going to be disappointed at markets but I was pleasantly surprised at this one. If I wasn’t going away this weekend I would have stocked up of veggies and apples and cheese. Instead I browsed happily and ate lunch. You can tell autumn is in full swing. 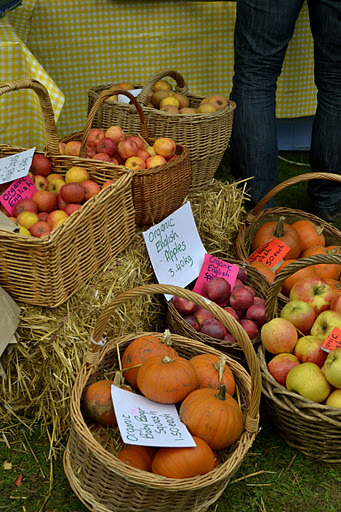 The apples are out in full force as are pumpkins and squashes. The meat selection on offer was good, with sausages, lamb, beef and meat pies all available. 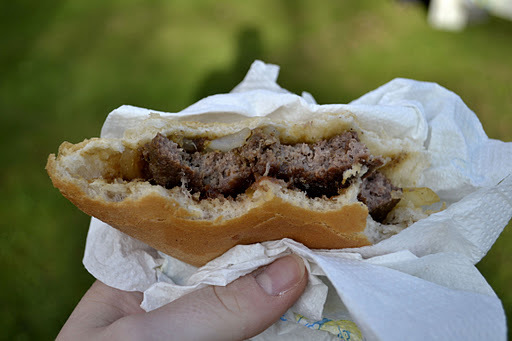 I had a fantastic lamb burger with fried onions for lunch – proper market food. There’s also chocolate, honey, Mediterranean (olives, baklava, vine leaves), bread (I brought some sourdough because I think I might have eggs on toast for dinner – like I said, this week is not a culinary heights week), cheese, Indian and cider. Items are reasonably priced and some stalls are organic. Others like the market garden vegetables aren’t officially but they try to grow in a chemical free way. I shall definitely be a-visiting in December.